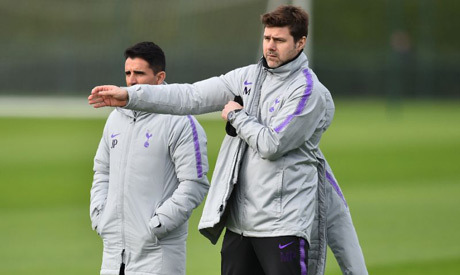 "I've described before, or in the last few days, that it was a little bit unfair (the schedule)," Pochettino told reporters on Tuesday. "But that is not an excuse (not) to arrive tomorrow in our best condition and fight to try to win. I think you can feel in the eyes of the players the energy." "We were talking in the meeting before and it's completely different (in big games)," Pochettino said. "If you ask me why, I don't know, because I'm a person whose own motivation is always high, when we play against Dortmund or Barcelona or we play against different (teams) in different competitions. "But of course you can feel that it's the Champions League, that it's going to be a massive game with, I hope, a full stadium at Wembley and of course the energy and motivation is going to be there." Tottenham defender Jan Vertonghen has already seized on Pochettino's upbeat message. "We can beat anyone. We have shown that last year. Over two games we were the better team against Real Madrid, who were the eventual winners of the trophy," he said. "That is why it was a shame we could not do better last year because we felt we should have done better," he said.